How could you not love crocheting when it is so versatile, budget friendly and most importantly fun! You can crochet almost anything you can think of, starting from clothes, accessories, toys, towels etc. Crocheted items make an excellent gift for a dear person, a gift that was made specially from you for them and can be personalized and unique. But crocheted items can be much more than cute gifts or fashion pieces – they can be useful too. Like these dishcloths and scrubbies we are sharing today. They are so easy to be made, so budget friendly and so useful. They make a perfect last minute gift for Mother’s Day, a new apartment or any other occasion. They are also perfect for beginners in crocheting. We are featuring our 10 favorite patterns which are totally free and easy to follow. Take a look, choose your favorites and start crocheting now! If you want pretty and useful scrubbies that will clean your face perfectly then you will love this easy pattern! 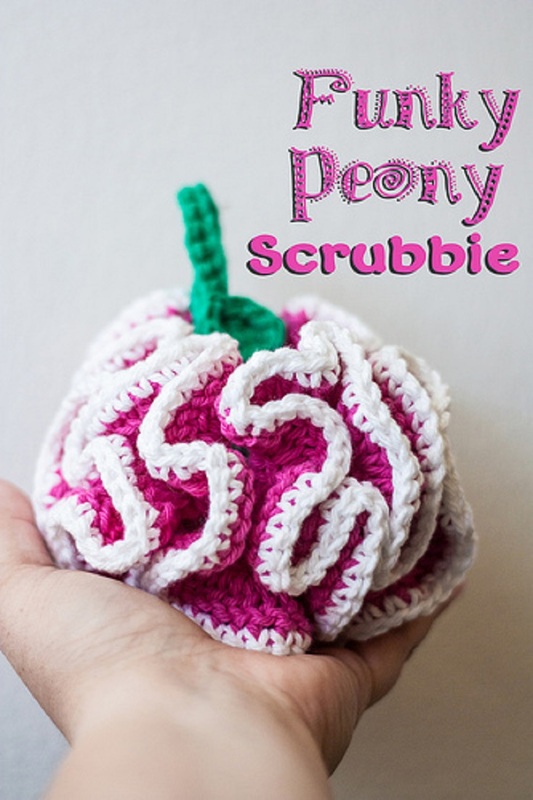 These scrubbies make a perfect gift you can easily personalize. Using cotton yarn us recommended. Check out the free pattern for a Puffy Bath Pouf as well. 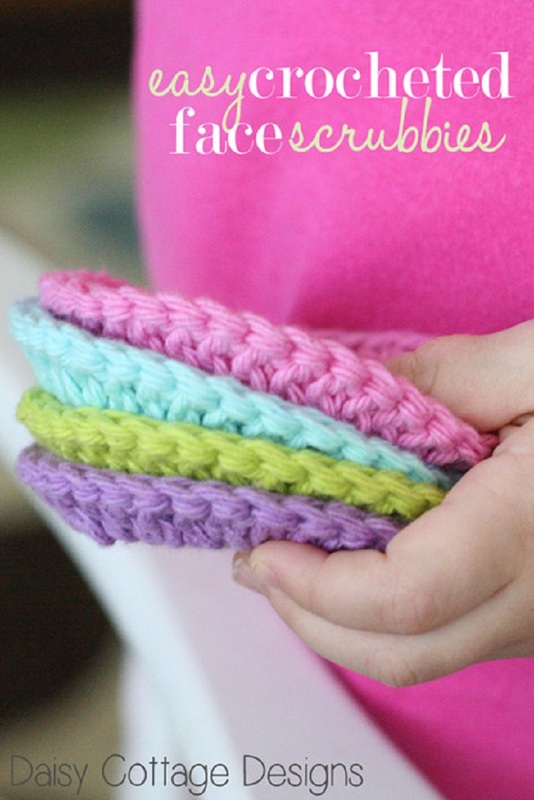 If you are new to crocheting here is a great pattern to try! 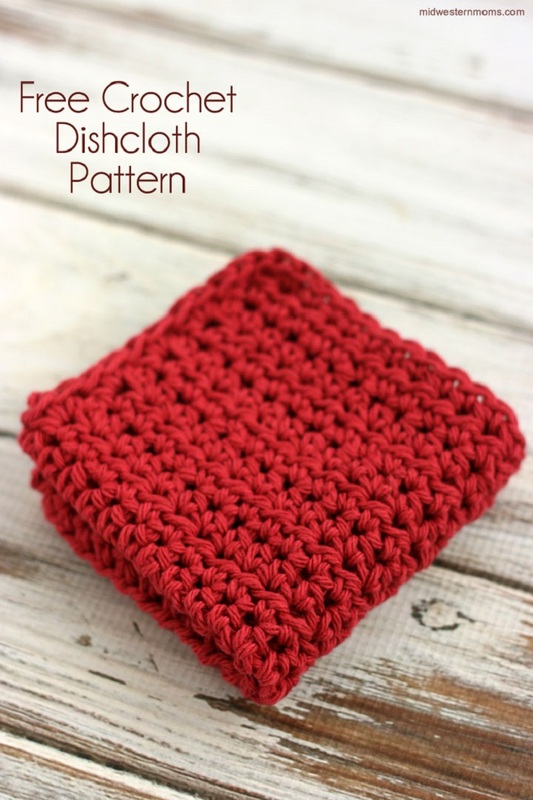 Making this dishcloth is very easy. The edging may be little tricky for beginners but the pattern is detailed so you will get through it easily. There is even a video teaching you how to crochet a half double crochet. Enjoy! You must have spent some time admiring the perfection that are peonies this spring. Inspired by these lovely flowers, this pattern for a funky dishcloth scrubbie is surely on of our favorites. We love how it resembles a real size peony. For crocheting it, make sure you use yarn that is thick enough to be substantial, but still manageable and not bulky. Here is another easy pattern for making cute little scrubbues, this time with a lovely heart shape. 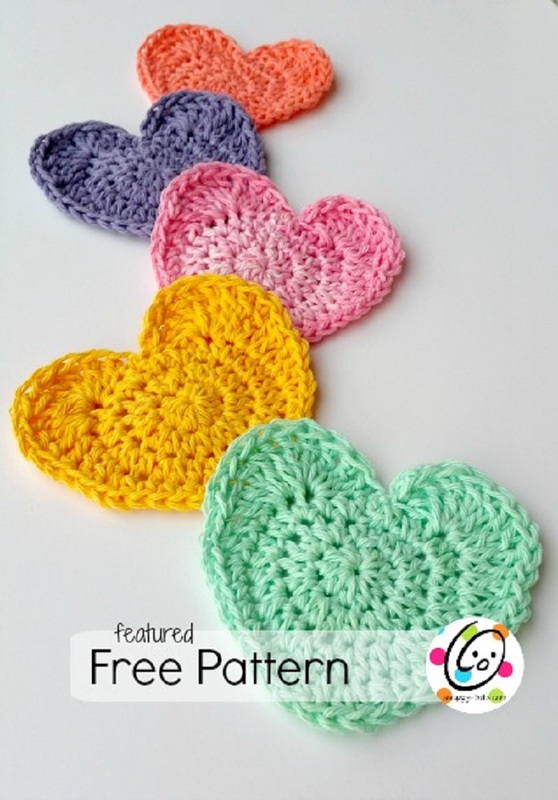 Each of these heart is 4″ x 4.5″ and the perfect size for babies and face scrubbies. You will be able to make at least 5 hearts in just an hour, so they make a perfect last minute gift. Although this pattern is in Japanese we couldn’t stop ourselves from making it a part of this top 10 list. 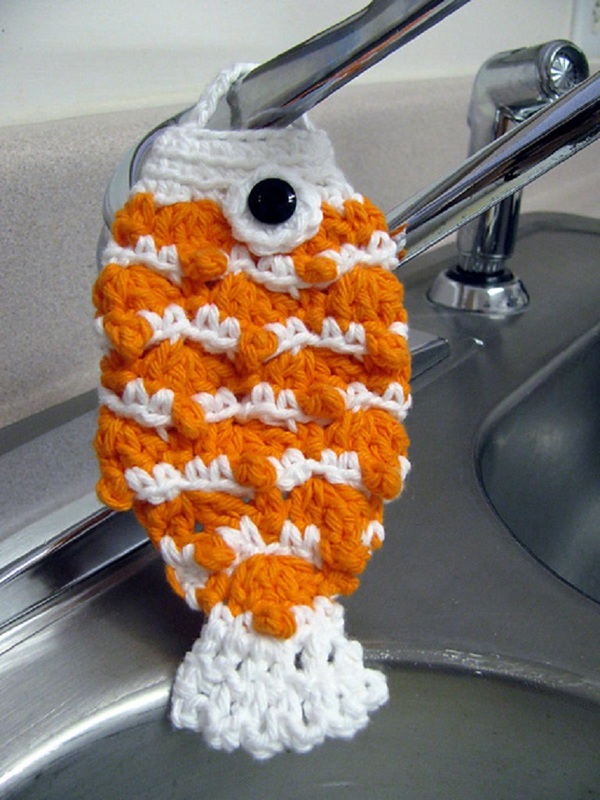 The fact that the pattern is fully charted using standard crochet symbols will help you get along and crochet this awesome fish shaped scrubber. 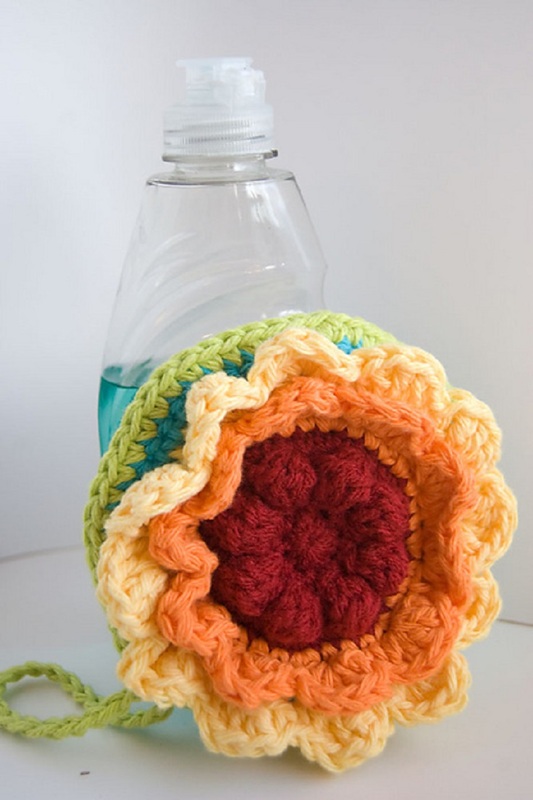 Bring the colors of the rainbow in your kitchen with this cute rainbow flower scrubby dishcloth. It will make you smile whenever you do the dishes. It also makes a great gift. It takes just a few yarn leftover bits and features a scratchy scrubby bobbled center for tough messes, and soft cotton for more delicate surfaces. A frog, a bear or a pig? What is your kid’s favorite animals? 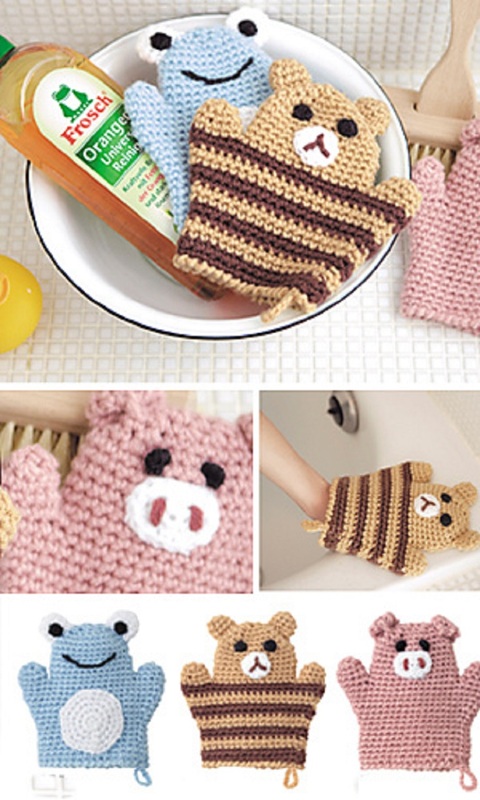 Wait, don’t make them choose, make all three shapes of this amazingly cute cleaning mitt for a perfectly fun bath time! They also make a great gift for a newborn. Both English and Japanese versions are fully charted using standard knitting and/or crochet symbols. Say reusable and we are instantly interested! 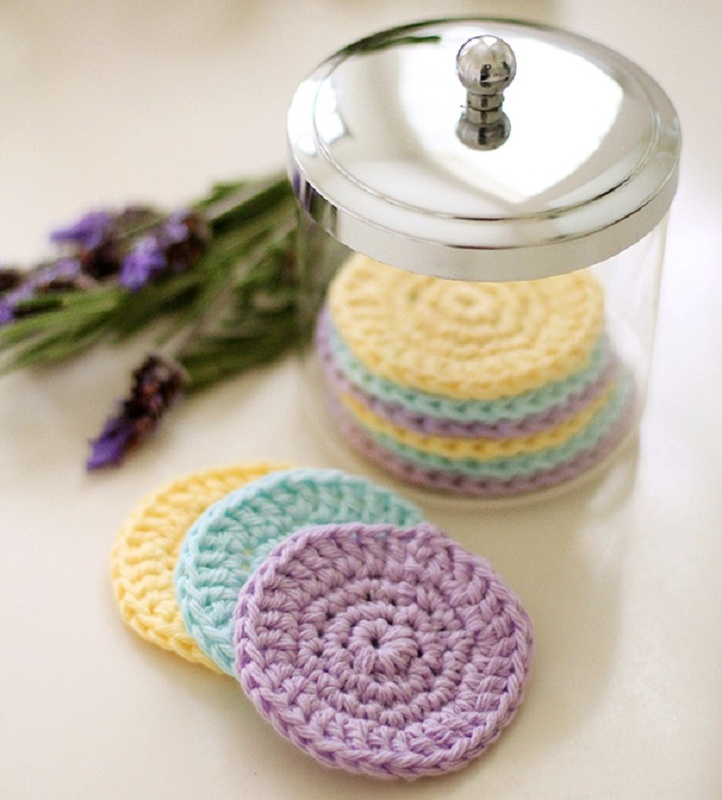 This reusable crochet face scrubbies will make you throw away those disposable baby wipes and save the environment (and your money!) 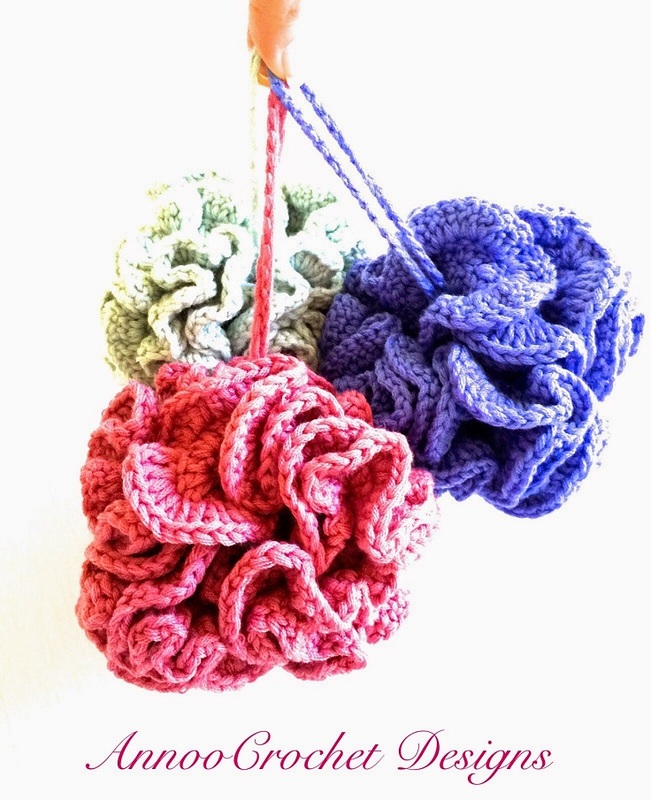 Make sure you use cotton yarn for the scrubbies. They are easy and quick – you will make them in less than half an hour. Need a last minute gift? Well, try this quick and easy spa scrubbies. They will make everyone feel special and pampered. Talk about a perfect Mother’s Day gift! To make them more durable and super fine use 50% Super fine acrylic and 50 % Super fine Nylon instead of 100% cotton. 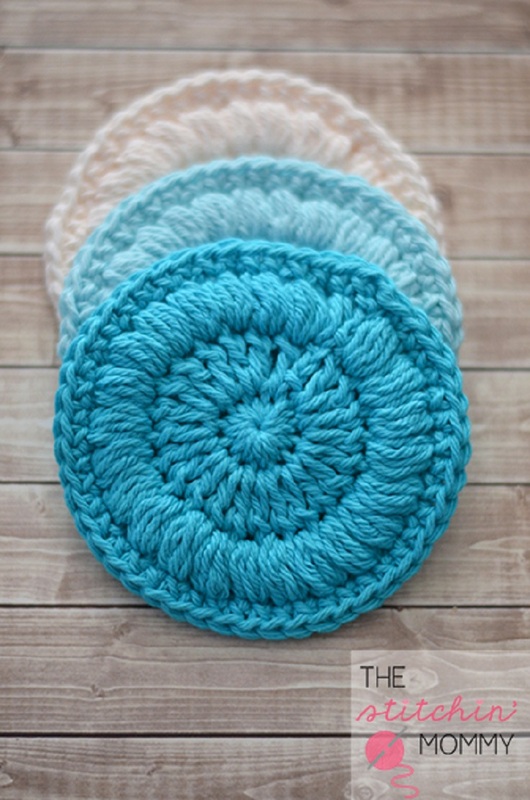 Whether you are a beginner crocheter who looks for an easy pattern to perfect their skills or need a project to use all those yarn scraps you have, this cotton face scrubbies will do the thing! All you’ll need to make them is H (5.00 mm) hook, small amount of cotton yarn (worsted weight) and a large needle for weaving.